Steve Jobs - "Think Different." There aren't many people that don't know the name Steve Jobs. On Wikipedia it says that he was best known as "the co-founder, chairman, and chief executive officer (CEO) of Apple Inc.; CEO and largest shareholder of Pixar Animation Studios; a member of The Walt Disney Company's board of directors following its acquisition of Pixar; and founder, chairman, and CEO of NeXT Inc."
We can't help but be in awe of this inspiring and detailed CV. Jobs was worth a million dollars when he was 23, 10 million when he was 24, and over 100 million when he was 25. He was also one of the youngest people ever to make the Forbes list of the nation's richest people – and one of only a handful to have done it themselves, without inherited wealth. Today, Apple is a company associated with high-end and luxurious tech. Whether it's their Apple Mac products, the ipod or iphone, people are eager to get their hands on them. Being an industry leader, and in many ways setting the tone for what people want, Apple can be seen as a company that is going from strength to strength, even now that Steve Jobs is no longer with us. One of the reasons we think Steve Jobs is such a brilliant icon, is because he didn't always get it right! He was reportedly quoted saying that people would never want a large phone, and that the sizes of the smaller iphone models were what would sell. Now, iphones are just as large as some of it's Android counterparts and it seems that they are getting bigger and bigger with each release and update. 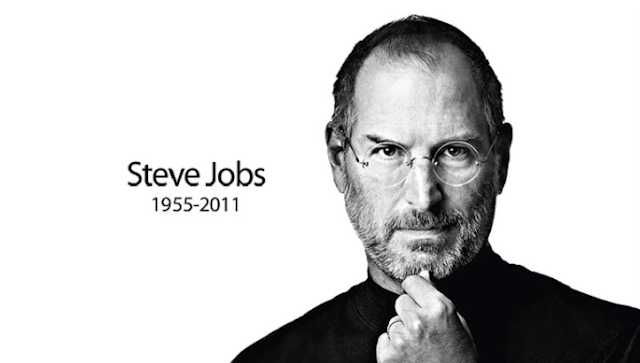 He was all in all a perfectionist, and lived and breathed the Apple brand. Every decision he made, was to promote and market the company and he worked tirelessly to sculpt out a career path he felt suited him. He had his talents, and rather than being a man stuck behind a desk, was happy to get his hands dirty when it came to the products and updates. We also experience the trial and error way of doing things in our industry so we can definitely relate. Four years after his death, Steve Jobs' life story has been made into a cinematic experience for all to see. From his rise to fame, the trials and tribulations of running a business and becoming such a large icon. We think it'll be one to watch for 2015. Advert Marketing - a run down of the best.